In addition to the car sweepstakes, Google has created a PAC-MAN-specific doodle to celebrate PAC-MAN’s 30th anniversary. Since 1998, Google has found innovative ways to celebrate unique events by changing the Google logo. 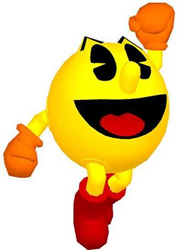 For the next 48 hours, PAC-MAN fans can play all 256 levels of PAC-MAN by clicking on the “insert coin” or waiting a few seconds. While Google has created more than 300 doodles in the U.S., and over 700 internationally, this is the first time a doodle has been playable or had sound. There are a large number of Canadian-made games or foreign games with Canadian-made components on this year’s Long List of Nominees for a 2010 Golden Joystick Award. This is the first round of voting for the UK-based awards, so be sure to head on over and vote for your favourite Canadian titles. In a (very) quick initial scroll-through of some of the many categories, I picked out these nominated titles. Yes, I will go back when I am not pressed for time and find all of the titles which hail from our game development community. In the meantime, look at all of these games – doesn’t it make you proud to be a Canadian developer? Assassin’s Creed II, Dante’s Inferno, Ghostbusters: The Video Game, James Cameron’s Avatar: The Game, Critter Crunch, Might & Magic: Clash of Heroes, Prince Of Persia: The Forgotten Sands, Prototype, Tom Clancy’s Splinter Cell: Conviction, Transformers: Revenge of the Fallen, Army of Two: The 40th Day, Assassin’s Creed II: Discovery, Assassin’s Creed: Bloodlines, Copter Crisis, FIFA 10, Madballs in Babo: Invasion, Mass Effect Galaxy, Need For Speed Undercover, Need for Speed Underground Rivals, Need for Speed: Shift, Need for Speed: Nitro, NOMBZ: HEADSHOT!, SOCOM: U.S. Navy SEALs Fireteam Bravo 3, Truck Modz Build And Drive, Warriors Orochi 2, 2010 FIFA World Cup South Africa, Academy of Champions, EA Sports Active, FIFA Manager 10, Shaun White Snowboarding: World Stage, Skate 3, The Bigs 2, Dragon Age: Origins and Dragon Age: Origins – Awakening, Mass Effect 2, ModNation Racers, Fight Night Round 4, Punch Out! !, Dead Rising 2, FIFA 11, Mafia 2, Need For Speed 2010, Pirates Of The Caribbean: Armada, Spider-Man: Shattered Dimensions, Tron: Evolution, True Crime, Elven Chronicles, Fighting Fantasy: The Warlock of Firetop Mountain, Hive, LEGO Battles, Thumpies, Bioshock 2, Mad Dog McCree, WeT….and so many more yet to be listed! Meanwhile, as part of its ongoing work to end violence against women and offer violence prevention and intervention tools, YWCA Canada, the country’s oldest and largest women’s multi-service organization, announced today the launch of the YWCA Safety Siren app. The unique safety siren is activated with a press of a button or a quick shake and turns an iPhone or iTouch into a multi-functional safety device. Part of YWCA’s Power of Being a Girl anti-violence initiative, the app is available for free in the App Store. Available in both English and French, the YWCA Safety Siren, offers users Canadian health and safety information geared toward young women, including: short questions and answers about women’s sexual health with a focus on dating and social interaction; tips and facts on safety and well-being; links to YWCAs across Canada as well as emergency and crisis resource centres; and SOS urgent email and phone functionality to a friend or family member when the user is in an unsafe situation displaying the user’s location on a map. Funded by the Government of Canada’s Social Development Partnerships Program, the Power of Being a Girl™ initiative is a signature violence prevention program for girls ages 12-17 and focuses on developing girls’ leadership. In addition to giving straightforward information on relevant sexual health and wellness issues, the app geo-locates the user with maps and directions to over 250 resource centres across Canada by topic or proximity including local YWCA’s, emergency hotlines, health clinics and crisis centres. It’s a one stop shop for healthy dating and it’s free. Winnipeg’s Indigo Rose Software has announced the immediate availability of AutoPlay Media Studio 8 for Windows. A mainstay in the software development industry for developing user-friendly autorun CD, DVD and USB menus, version 8 takes the product line in a bold new direction. AutoPlay Media Studio 8 now gives software developers the ability to create full-featured software applications using a visual drag-and-drop development environment. What would normally take days or weeks to build using traditional software development tools (e.g. C, C++, Java) can now be created in record time, and by just about anyone. Featuring a WYSIWYG (“what you see is what you get”) development environment and a powerful, yet easy-to-use scripting language, even beginners can create professional Windows software, complete with features like web interaction, database connectivity, dialog boxes, data visualization and multimedia audio and video playback. 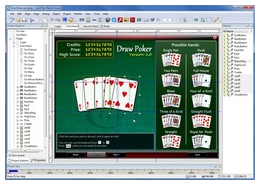 AutoPlay Media Studio 8 includes 21 built-in interface objects such as buttons, images, menu bars, web browsers, QuickTime video, data grids, PDF viewers, checkboxes and more. Developers simply drop the objects onto a page or dialog box, and are able to edit and customize the objects’ properties and events any way they want. Over 865 easy-to-use scripting actions include everything from XML parsing and database queries to web server interaction, internet file transfers and much more. It’s also easy to expand the language with plugins and code modules. Additionally, the professional script editor features color syntax highlighting, code completion, function highlighting, as-you-type action prototypes, function listings, and context-sensitive help. Developers who aren’t ready to use the scripting language can turn to the Action Wizard, which automatically writes scripts for them. Developers simply choose an action from a categorized list and fill in the requested information fields. The Action Wizard does the rest, eliminating the need for any scripting or programming experience. Other highlights of AutoPlay Media Studio 8 include Blu-ray disc burning, Lua 5.1 scripting engine, application styles/skinning, integrated database access (MySQL, SQLite3, ODBC, Oracle), improved debugging features, rolling code data security, and dozens more. AutoPlay Media Studio 8 is compatible with Microsoft Windows 7, Windows Vista and Windows XP. The software sells for $295 (USD) per developer (or $995 for the 5 developer Team Pack) and can be purchased from most software development tools vendors or online. A free trial version is available for download. Additionally, a ‘Personal Edition’ of AutoPlay Media Studio 8 is available free of charge for non-commercial applications, such as students, hobbyists and people writing public domain and open source software. It can be downloaded directly from AutoPlay.org. This entry was posted on Friday, May 21st, 2010 at 12:08 pm and is filed under Awards, Business News, Contests, Digital Products, Education, Events, Everyone, Game Dev, Music, National News, Software, Upcoming Releases. You can follow any responses to this entry through the RSS 2.0 feed. You can leave a response, or trackback from your own site.